It was the second leg of the UEFA Champions League third round qualification match between Young Boys from Bern and Dynamo Kyiv. Dynamo were down 1-0, but after winning the first leg, 3-1 were through on aggregate when Bern’s Jordan Lotomba managed to get the ball on net after a corner. Dynamo keeper Maksym Koval had a fantastic game up until that point keeping his side in the competition. This time, however, the ball slipped through making it 2-0 on the evening giving Young Boys the edge and sending Dynamo out of the Champions League. It was the moment that defined Dynamo Kyiv’s European campaign—the Ukrainians would later qualify for the Europa League and meet Young Boys once again in the group stage after the Swiss were knocked out by CSKA Moscow in the Champions League playoffs—and effectively ended Maksym Koval’s future at the Ukrainian club. Although Koval started the season as the number one keeper, he would soon find himself subject to Aleksyandar Khatskevich’s rotation policy. By November the 23-year-old Georgi Bushchan had taken over the starting position from Koval. 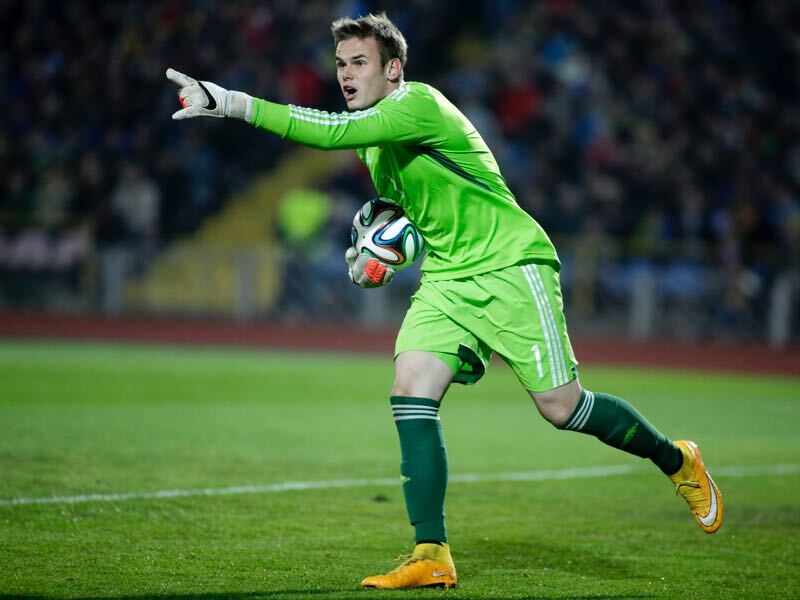 Maksym Koval had always been a talented goalkeeper, but at the same time, his performance against Young Boys very much was representative of his entire career. A fantastic shot stopper with good footballing skills Koval looked like he would be the future in Dynamo’s goal. At the same time, however, he also was unreliable at times making mistakes during key moments, which became apparent in the Champions League qualification game against Dynamo. Dynamo have had some financial problems in the past and to challenge Shakhtar Donetsk needed Champions League money. Young Boy’s goal, therefore, put the club in an awkward position and only the transfer of Andriy Yarmolenko to Borussia Dortmund allowed Dynamo to keep together a squad that is competitive relative to Shakhtar. Koval on the other hand also seemed to suffer in confidence. Perhaps it did not help that Dynamo never really gave the keeper the word of confidence that goalkeepers require developing their game. Signed in 2010 by his hometown club Metalurh Zaporizhya Koval never got to spent a lot of time in Kyiv. The first four years he spent as an understudy to the legendary Oleksandr Shovkovskiy, who he could never fully replace as a keeper despite getting decent playing time as a backup and then becoming the number one in the 2012-13 season. The following year Shovkovskiy was once again the number one prompting Koval to make a loan move to Hoverla for the 2014-15 season and then to Odense of the Danish Superligaen during the 2015-16 season. With Shovkovskiy retiring at the end of the 2016-17 the path seemed clear for Koval to finally take over the starting position at Dynamo, until of course that fateful night in Bern. Given his lack of playing time Koval has once again decided to go out on loan. 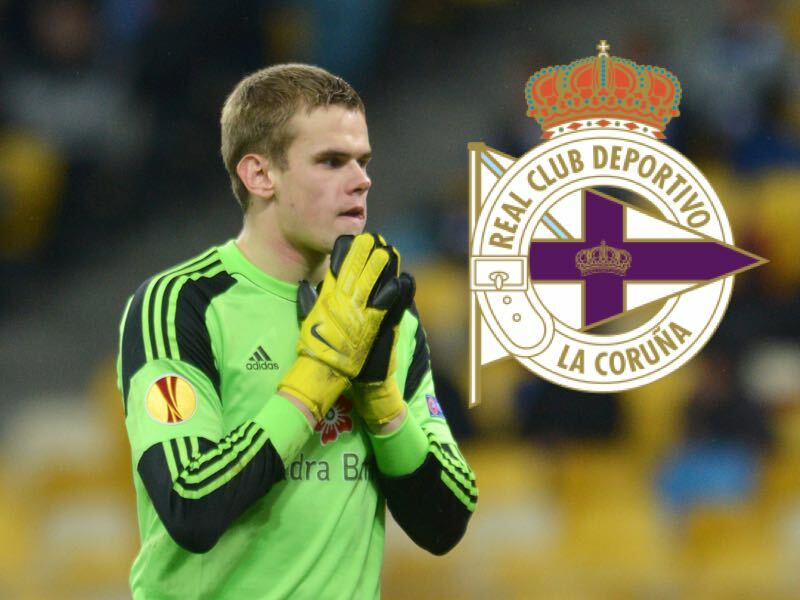 Koval – Will he play at Deportivo La Coruna? This time he will join struggling La Liga side Deportivo La Coruna in Spain. Koval made a move just in time to see his new club dismantled by Real Madrid, who won the game 7-1 this weekend. Thankfully, for Koval, the registration was not completed, and Cristiano Ronaldo and Co spared him the beating. There are some questions about his move, however. The Ukrainian sports page tribuna.com rightfully pointed out that there are already four goalkeepers under contract at Deportivo. Rubén Martinez has recently returned from a loan move from RSC Anderlecht, and the club also has Costel Pantilimon, on loan from Watford, and Przemyslaw Tyton already under contract. All those keepers are experienced begging the question why Deportivo have signed another keeper and why Koval would make a move to a club where he could be benched once again? There is an opportunity here as well of course. Should Koval get the starting position, he will play on a regular basis in what is the best league in Europe at the moment. Being on loan from Dynamo gaining regular playing time in Spain could secure him either a complete move to Deportivo or to another European club, which might be the best outcome given that since he joined Dynamo eight years ago, Koval was never able to secure the number one spot at the Ukrainian giants.